We’re thrilled to announce that the 4th edition of our PMP preparation guide, Head First PMP, is in the final stretch of its production cycle. It will be released very soon! We just got the last of the proofs back from our (fantastic) proofreader, and it looks really good. We’ve gotten so many notes from readers asking about the release date, so we’re especially happy to point out that the release page on the Amazon page for the 4th edition is accurate. We’re excited to finish this project and provide what we believe to be the most effective PMP preparation guide on the market. We’ve updated it to include all of the new material in the 6th edition of the PMBOK® Guide. But we’ve stuck the central idea behind every edition of the book, the idea that we think has made it so successful: that we teach you about project management in a way that also prepares you for the exam. We’ve continued our commitment to helping you learn, not cram, so you can become a better project manager while you prepare for certification. Thanks again for your patience, and for your support over the years. 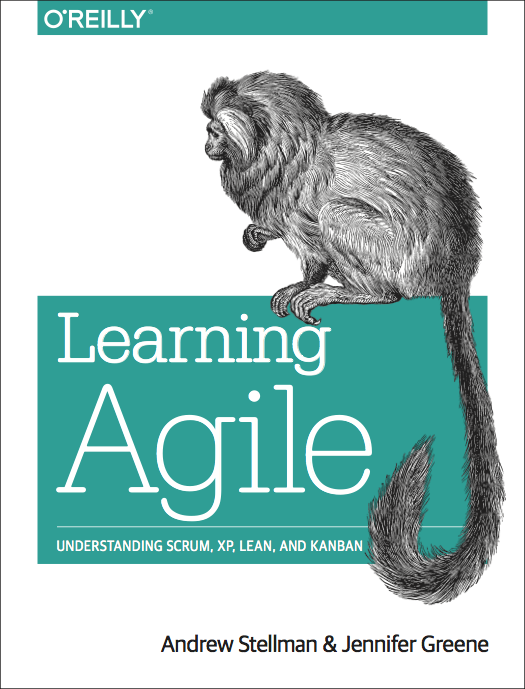 Learning Agile is the fifth book we’re writing for O’Reilly (or the ninth, if you include the enormous second and third editions! ), but it’s our first animal book. So we were extremely excited this week when our marvelous editor, Mary, sent us the cover to review. I’m not sure why it only just struck me that the book will be in the same series as Learning Perl, which I believe was the first O’Reilly book that I bought back in 1994 when I was studying computer science at CMU. The animal is a black lion tamarin, a tiny primate that weighs just half a kilogram. Apparently, it’s so endangered that there will be far more pictures of it on our book covers than actual animals in the wild. They do have very agile little hands, and apparently they’re good at working in groups, so it seems like a fitting animal. Jenny and I are really excited about this book. We’re about two thirds done with it. 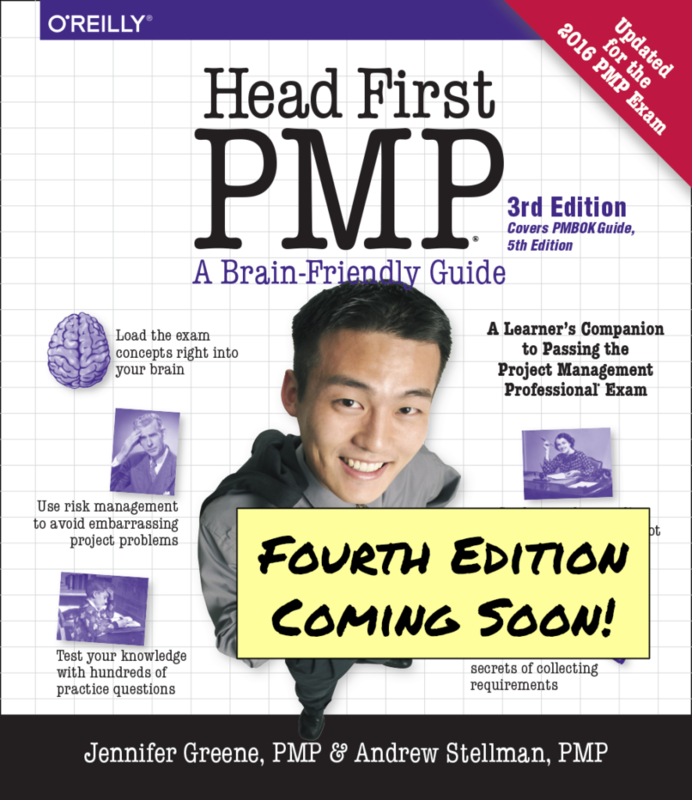 We’d probably be finished by now, but we had to take a break to push third editions of our bestselling titles Head First C# and Head First PMP out the door. But we’re jumping back into it, and finishing the last few chapters. We’ve also assembled a phenomenal tech review team, possibly the best that we’ve had for any of our books. They’ve already given us some fantastic feedback, and we’re really optimistic that this will be a great way to learn about agile. The book is due out early next year. I hope you’re as excited about it as we are! I’ve got an announcement about a really exciting event. From August 18 to 24, I’ll be leading a discussion in this forum for the a special O’Reilly Community event on the Head First C# forum. Please join me there! Bring any questions you’ve got about C#, becoming a better developer, running your projects, managing your career, or building better software. If you’re serious about learning C#, join Andrew Stellman, author of Head First C#, as he discusses the nuances of C# 4.0, Visual Studio 2010 and .NET 4. Why use C# instead of any other language? The Inner Circle: The O’Reilly Book Club for Geeks is an online weeklong discussion forum where passionate technologists can connect with featured O’Reilly authors.